Would you like to have a wall-sized chalkboard that you can actually write on? That’s perfectly possible thanks to WallCHALKER, a unique Mactac finish that turns any wall section into a platform for creativity. 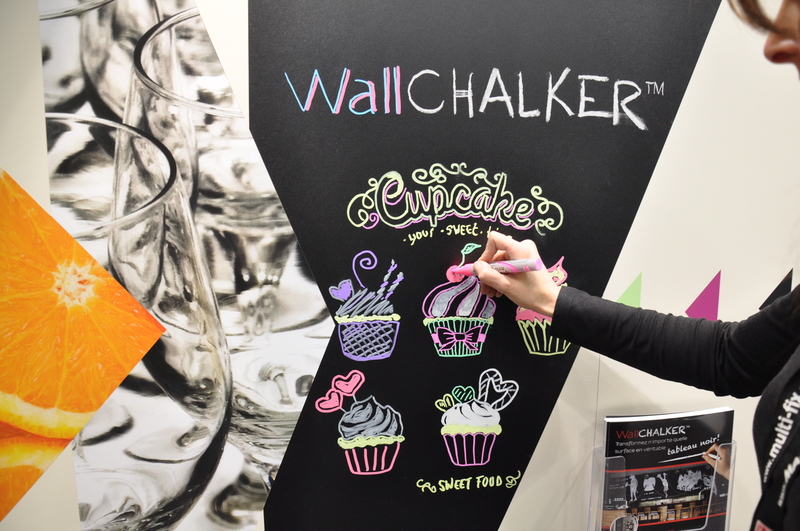 You can easily cut this wall adhesive with a plotter, so it’s available in any shape and size to create the most original chalkboard designs. Do you want your lettering or illustrations to last? Just use paint instead of chalk and enjoy them as long as you like. A lot of restaurants and bars offer daily or weekly menus, and they obviously want their clientele to see them. The WallCHALKER is the perfect solution for anyone in the HoReCa sector. Its grainy black finish creates a surface that you can write on with both solid chalk and liquid chalk markers. Writing, drawing, creating … and beginning all over again: everything’s possible! And if you’re tired of your chalkboard wall, you simply remove the film – your wall won’t be damaged in the process. Thanks to its thickness of is 120µm, you can apply the WallCHALKER to all flat and smooth surfaces (think walls, tables, windows …). It’s perfect for getting your message across and for capturing the attention of passers-by in commercial spaces, hotels, shops, workspaces or even company cafeterias. Its high-performance adhesive leaves no trace on the carrier surface, so it’s safe and easy to remove. Erase and start all over again! The WallCHALKER has all the perks of a classic chalkboard. A simple cloth or chalkboard eraser is all it takes to restore the surface to its original, pristine state. If you’ve used liquid chalk, just spray the surface with water, let it sit for a few seconds and wipe it clean. Your board will look like new again in no time!